Sonia Di Placido’s Flesh and Jennifer Zilm’s The Missing Field, numbers 254 and 255 respectively in Guernica Editions’ long-running Essential Poets series, are very different books in style, in tone, and in much of their subject matter. They may differ, and differ substantially, but they have enough in common that it seems fitting that one should follow the other in this series. They are both preoccupied with quotidian details, with accumulation and lists, grounding their allusive intellectual flights firmly in the materiality of lived reality, and they both work regularly and to great effect with juxtaposition. standing body made of wood chucks or shavings. The phrase “the plush life” is one of my favourites from the book and exemplifies one of the collection’s greatest strengths: the way Di Placido can suddenly twist away from calculated description into resonant lyricism, setting restrained precision side-by-side with linguistic exuberance. what you eat is what we eat with you. what you chew is what we chew with you. what you swallow is what we swallow with you. Whatever their contents, whether they are about taxidermy or cooking, after Sylvia Plath or in the manner of Alice Notley’s The Descent of Allette, Di Placido’s poems ask to be read aloud, to be felt in the mouth as much as seen on the page. 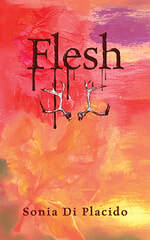 Flesh is as learned as it is sensual, referencing Petrarch, ancient Greek, Hildegard von Bingen, Isaiah, and Hindu and Sanskrit as filtered through Madame Blavatsky’s theosophical movement. And this impressive range is one of the features it shares with Zilm’s The Missing Field. head: my dense, dense freckles. This yoking of quotidian detail and erudition typifies the poems in the collection. In “Reading Rilke in the Bath, Revisited,” Zilm draws together Rilke’s poetry, Indian mangoes, and the capitalization of nouns in German, including the lines “I swallow chewing gum / because I love the throat’s toke resistance.” This makes for poems that are at once headily intellectual and firmly grounded in the minutiae of lived experience. The poems often work through surprising and unexpected juxtapositions, linking distant places, separate events, and disparate ideas. “Deftly the Hands of Hairdresser”’s first section is set in a hair salon in Lime Ridge Mall. Its second section leaps to Tang Shan City in China and references the Epic of Gilgamesh. The third section returns to the mall where the speaker is captured “between two mirrors.” And this image, of the speaker sitting between two mirrors, reflected back at herself over and over again, neatly captures the effect of Zilm’s use of juxtaposition—it creates long series of recursive gradations of meaning as the reader oscillates between sections, across poems. the words heat and filth and Sunday and Monday. the bottle depot is closed for business. The alliteration of the middle lines is bracketed by the alliteration of the first and fourth lines, creating a complex, tidy sonic unit. and borrow all 62 pages—if you want to—anytime. And, when a bus does appear, it does so after it stops. 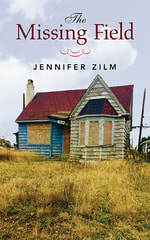 You may have noticed that I began my discussion of Zilm’s book by listing its three sections, but I have only so far talked about two. That is because the middle section, “The missing field,” is, as the name would suggest, missing. It is included in the table of contents, but not in the book itself. There are no poems, not even a title page, only a noticeable absence. This is an audacious choice, and one that makes the book because “The missing field” is the best kind of absence—a structuring that resonates with significance and ramifies the meaning of the poems around it, and an absence whose effects I will continue to think about for quite some time. Zilm’s and Di Placido’s collections may be quite different, but they make a fitting pair, and they are both, for different reasons and in different ways, deserving of your attention. 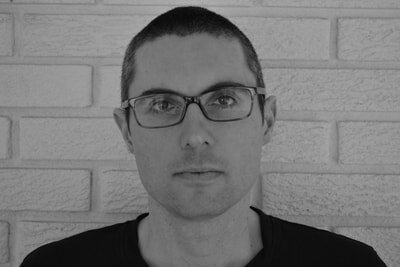 Aaron Schneider teaches in the Department of English and Writing Studies at Western University, where he also runs the Creative Writers Speakers Series. His stories have appeared/are forthcoming in The Danforth Review, filling station, The Puritan, Hamilton Arts and Letters, untethered, and The Maple Tree Literary Supplement. His first book, Grass-Fed, is coming soon from Quattro Books. Visit his website here.